Entertainment Weekly’s Comic-Con issue is set to hit newstands, magazine racks, and your mailbox tomorrow. 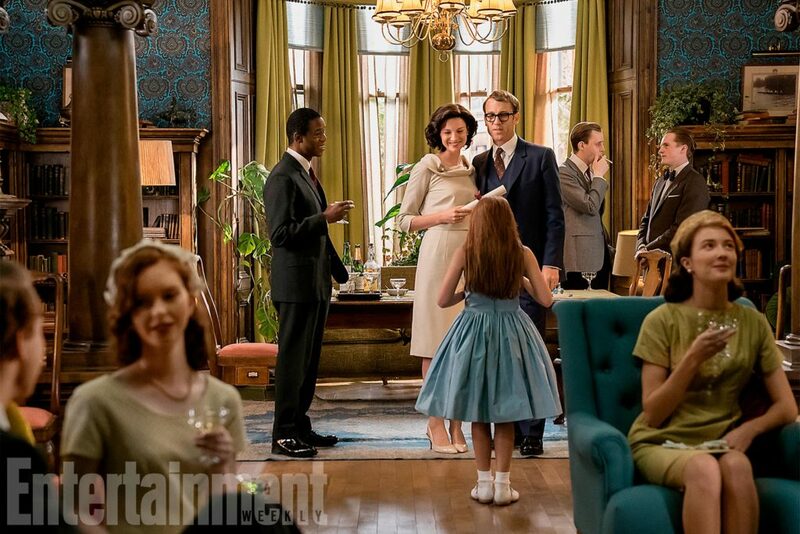 Here is a little peek at what it contains relative to Outlander, two new official photos from season three. 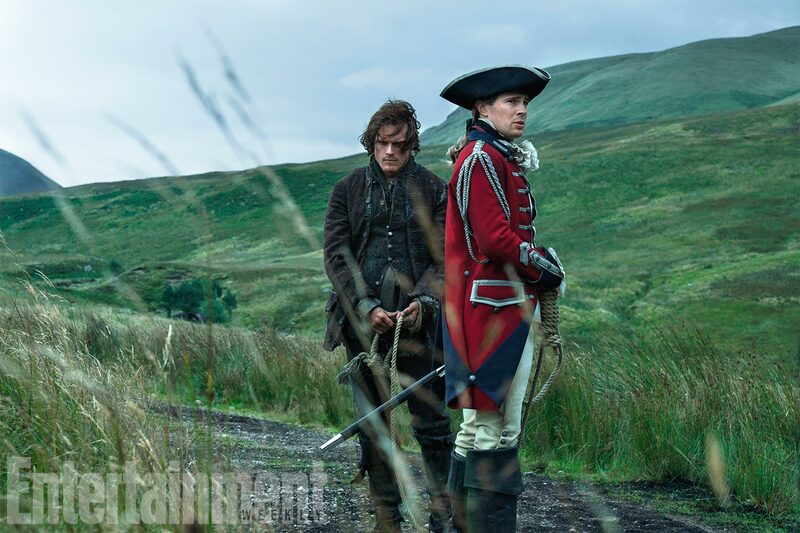 One photo contains Jamie (Sam Heughan) and our first official look at Lord John Grey (David Berry). It appears Jamie is a prisoner of Grey, and it looks like Grey does have blonde hair in this photo. The second photo is of Claire (Caitriona Balfe) and Frank (Tobias Menzies) at a party with Joe Abernathy (Wil Johnson). Their attention is on a young Brianna (Gemma Fray). This entry was posted in Caitriona Balfe, David Berry, Interviews, Production Photos, Sam Heughan, Tobias Menzies, Wil Johnson and tagged Caitriona Balfe, David Berry, Gemma Fray, Joe Abernathy, Lord John Grey, Official Photos, Sam Heughan, Season Three, Tobias Menzies, Wil Johnson by Sarah Ksiazek. Bookmark the permalink.